Heart rate monitors are popular training aids. They are affordable, easy to use and can provide valuable information when it comes to training and tracking your fitness. However, despite their popularity, heart rate training suffers from a number of shortcomings – some of which are pretty significant. In this article, we wanted to review some of these drawbacks, as well as contrast heart rate monitors to power meters, in terms of their training effectiveness. 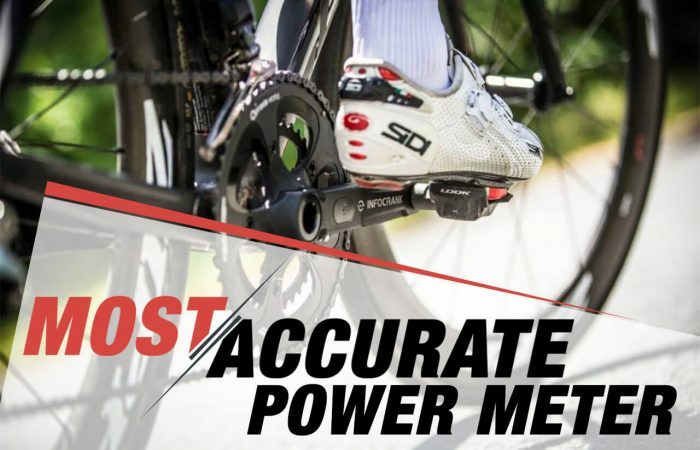 Our goal is to show you why power meters can provide you with a much more objective measurement of the work you are performing, and while really the ultimate goal is to train to power and heart rate. A heart rate monitor allows you to measure your heart rate in real time, as well as record the data for later analysis. Most heart rate monitors consist of a chest strap with a built-in transmitter. Heart rate data, measured in beats per minute (BPM), is sent to a receiver. This is typically a GPS sports watch or handlebar mounted cycling computer. While heart rate monitors are affordable and easy to use, they can suffer from the following issues. 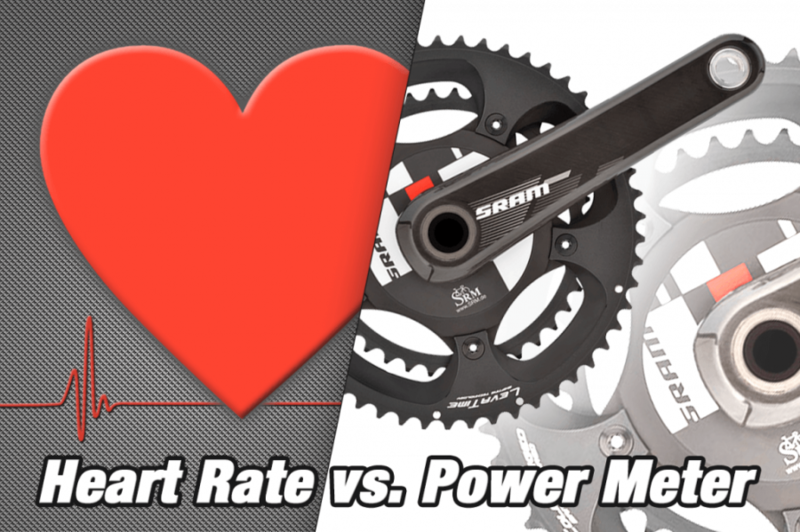 Joe Friel, elite triathlon and cycling coach and author of numerous cycling books including The Cyclist’s Training Bible, does a nice job of putting the relationship between power meters and heart rate monitors in perspective. He explains that heart rate monitors only tell you how great your effort is. In other words, the heart rate monitor is measuring your body’s response to the work. This is considered an “input”. An input doesn’t tell you what you are accomplishing. It only tells you how hard the effort is. The actual amount of work you are performing (the “output”) is not really known. Joe gives the example of a tachometer on a car. A tachometer tells you how hard the engine is working. But it does not tell you if it’s producing a little power or a lot of power. Things such as temperature, hydration levels or fatigue can all have an impact on your heart rate. Since your heart rate is easily influenced by these factors, it often makes it difficult to use your heart rate as a way to measure the intensity of your efforts. Moreover, there are individual differences in the power-heart rate relationship. As fitness improves, you heart rate falls for a given power level. You might produce 200 watts at 150 BPM at the start of the season, and as fitness improves, find yourself producing 200 watts at 140 BPM later on. Warm or cool temperatures If you become too hot or too cold, your body senses what is called a thermal stress load. Your heart pumps more blood which is sent to your skin to enhance heat dissipation in order to cool you. In cooler temperatures, the brain diverts the blood throughout the entire body to keep it warm thus lowering heart rate. Extreme temperatures can change your heart rate by 10 beats per minute or more. Medications Depending on the medication, heart rate can either increase or decrease. Antihistamines and anti-depressant drugs typically increase blood flow, while beta-blockers and blood pressure medications tend to slow down blood flow. Dehydration As you become dehydrated, your blood becomes thicker and waste products build up in the bloodstream. The body attempts to transport additional nutrients and remove toxins. This causes your heart to work harder to maintain constant cardiac output. Emotions and anxiety Heart rate can rise due to emotions or anxiety. We have all experienced this before – both on and off the bike. Your body enters what is called Fight or Flight and prepares for the upcoming situation or activity by increasing heart rate and releasing glucose for energy. Caffeine Caffeine is a stimulant that influences the nervous system and increases heart rate. Caffeine mimics the effect of adrenaline, a natural hormone responsible for elevating heart rate. High altitudes At high altitudes (typically considered 2,000 meters or higher), there is less oxygen in the air so you are unable to pull the same amount of oxygen into your lungs with each breath. As a result, heart rate increases to deliver oxygen to cells in your body more efficiently. Elevated fatigue level When heavily fatigued, your heart rate is lower as the brain signals blood flow for recovery instead of sending it to your muscles. If you’re doing an interval with a heart rate monitor, it takes time, sometimes several minutes, for your heart rate to reach your target level. This is because heart rate monitors measure the physiological effect of effort and therefore ramp up slowly. It’s easy to start the interval too hard or too easy as you have to guess as you begin the interval. With a power meter, you can hit your exact intensity target right from the start with no guesswork. This means no wasted training time, precise intensity and better intervals. Frequently, about 10 minutes into a steady state interval, an athlete’s power output can start to decline despite a constant heart rate. This is called cardiovascular drift (CVD or CVdrift) and can be made worse by a lack of proper hydration. If you’re using a heart monitor alone, you won’t be able to pick up on this drift but a power meter will. 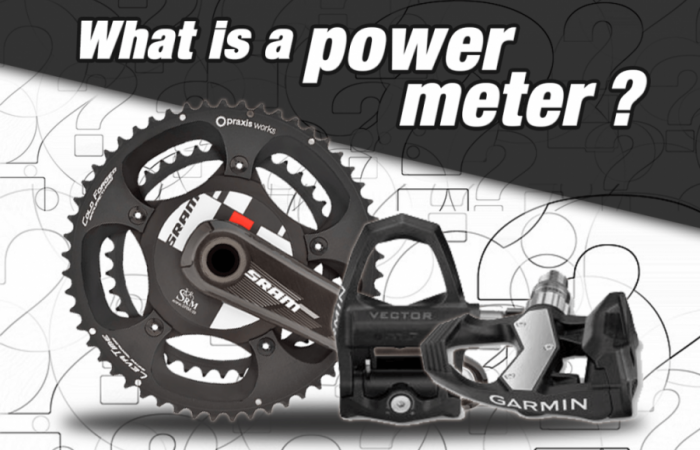 Power meters on the other hand, measure your output – that is, how much power you are producing. If we go back to our Input vs. Output analogy, the output is the second and much more important part of the equation. The output is what you are doing or achieving and it’s a much more objective measurement of the work you are performing. When you know the output, your training will become vastly more effective. In addition, power meters don’t suffer from the other issues listed above. Your power doesn’t vary day-to-day, it doesn’t ramp up slowly, nor does it drift. As the saying goes…a watt is always a watt. Heart rate monitors are great and we suggest you use one. Our point is just that heart rate alone just isn’t very meaningful. What if your heart rate is 15 beats higher than normal, what does this mean? Are you working harder than normal…or are just out of shape? In Hunter Allen and Andrew Coggan’s book Training and Racing with a Power Meter, the authors go as far as to say that going off heart rate alone could easily misinform you regarding your actual performance and can “undermine your confidence”. Input data such as heart rate just isn’t as meaningful until it is compared with some measure of output. Power meters address the shortcomings of a heart rate monitor as they allow you to quantify exactly how hard you are working. 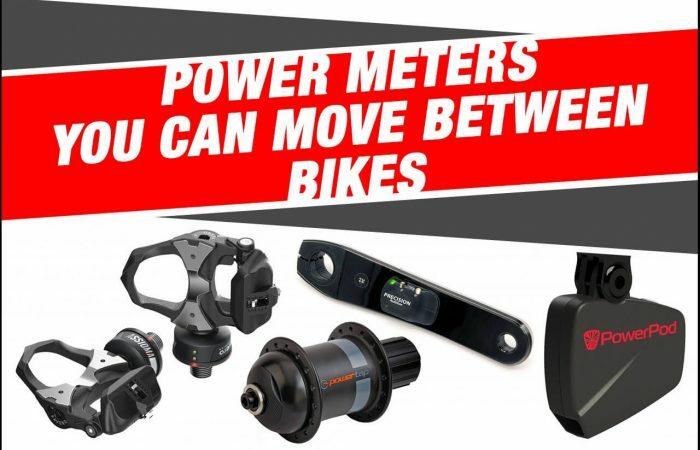 (By the way, this is in addition to the many other reasons to use a power meter!) However, the ideal option is to train with both a heart rate monitor and a power meter. When combined, athletes can learn a lot about their performance and how their body performs under different conditions. For example, a key training metric is Efficiency Factor (EF). This is simply your average power divided by your average heart rate for a given workout or interval. As previously mentioned, when your fitness increases, you will generate more power at a given heart rate. This is a telltale sign that your fitness is improving. Or, if you start to see significantly lower power at a given heart rate, that’s usually a sign that you are ‘over-trained’ and your body needs a break. So the point here is, when you combine a power meter with a heart rate monitor, you get the full equation (the input and output), and a much better picture of your performance and fitness!